The LENSAR Laser System allows your surgeon to offer you a better,more precise cataract removal procedure that is customized to your eye. 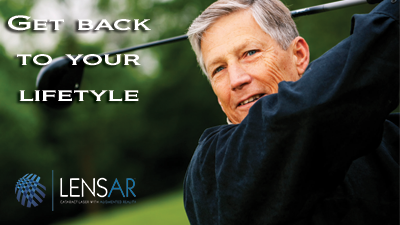 With the LENSAR Laser System, your surgeon can remove your cataract in a more advanced way. Using the LENSAR Laser System ensures that your customized cataract procedure is performed with laser precision. This is because of Augmented Reality, a unique imaging system that provides your surgeon with a reconstructed 3-D view of your eye, in order to help plan and treat your cataract. 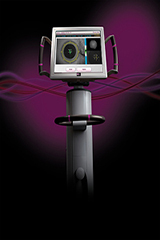 Unlike other systems on the market or in development, the LENSAR Laser Cataract System is unique in that it is specifically designed for cataract surgery. It combines a high resolution 3-D CSI imaging device that gives your doctor a fully automated analysis of the cornea and lens surfaces along with an advanced femtosecond laser. These systems work together to deliver precise laser pulse placement and surgical incisions. Using the laser, capsulotomies (the procedure used to create an opening to the cloudy lens) are perfectly round and centered. The accuracy, reproducibility and customizable nature of the capsular opening usually cannot be matched by manual techniques. The LENSAR Laser Cataract System then breaks up and softens the cloudy natural lens and significantly reduces ultrasound energy allowing for swift and thorough removal of the tiny pieces. In the hands of a skilled surgeon, the LENSAR Laser System allows for more precise surgery and more reliable refractive outcomes. Why should I elect to have Laser Cataract Surgery? Advanced cataract surgery allows your surgeon to tailor your procedure with the goal of reducing your dependency on glasses or contact lenses. During your procedure, your surgeon will use the most advanced technology available, including premium intraocular lenses and the LENSAR Laser System with Augmented Reality, an advanced 3-D modeling technology. 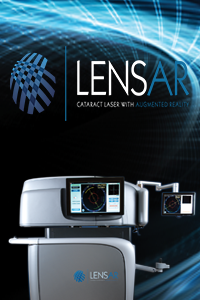 LENSAR’s superior Augmented Reality takes a more intelligent approach to cataract surgery. With Augmented Reality, your surgeon can see everything inside your eye in greater detail. This allows the surgeon to plan the surgery better, to precisely soften the cataract in preparation for removal, and to ensure the appropriate condition for the most accurate placement of your intraocular lens. Safety: The LENSAR Laser System’s Augmented Reality provides your surgeon with a reconstructed 3-D view of your eye, allowing for more accurate information and treatment choices during your cataract removal procedure. Precision: The LENSAR Laser System’s advanced technology offers the most precise and accurate treatment available. Results: The LENSAR Laser System allows your surgeon to precisely place laser pulses that effectively soften your cataract for removal, and ensures the appropriate condition for the best lens placement, helping to restore your vision to its full potential. Designed with comfort in mind, so you can relax, knowing you have the latest technology available to treat one of your most valuable senses –your sight. 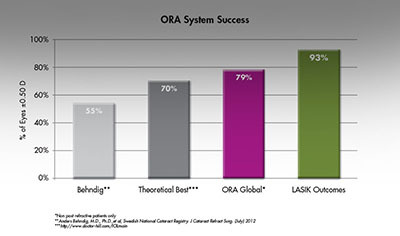 Along with the advanced cataract removal, Naples Premier Surgery Center also uses the ORA system to provide you with the best possible results. Copyright 2013 Gaskins Eye Care and Surgery Center, LLC. All Rights Reserved.